Apparently the folks at Uncle Leo’s Brewery in Lyon’s Brook, Nova Scotia aren’t given to bragging. Their sparse description of this German-style wheat beer scarcely does it justice. Smooth as melted butter with wave after wave of flavour, every mouthful is a delight. From the brewery: A tribute to our neighbours, Matt and Brenda Vohs. Owners of Piper’s Landing Restaurant, Lyon’s Brook and our first customer to put us on tap. Appearance: Beautiful golden pour, with a thick pearl head and lacing that goes on forever. Aroma: Smells like a hot summer day in the country. Fresh and spicy—I swear, there’s a hint of sage in there. Taste: The most dominant, and surprising, flavour is sweet corn and melted butter, followed by a hit of over-ripe banana. Just when you think it’s done, there’s a little smack of cloves. Mouthfeel: Smooth and buttery, stimulates every taste bud without puckering the mouth or overwhelming the palate. Overall: I hear that when Uncle Leo’s first offered this beer, it suffered from some quality-control problems, leaving an unpleasant soapy aftertaste. On the last two bottles, there wasn’t a hint of that problem—there’s nothing like that going on now. This is one of the finest beers I’ve tried all year, shockingly quaffable for a weizenbier. This pairs like a dream with a roast-chicken Sunday dinner. Trevor J. Adams is a regular contributor to Drink N Brew, reviewing beers and curating social media. An award-winning journalist and editor, he’s been writing about libations, entertaining and related topics since 1998. He’s a beer enthusiast at heart, senior editor with Metro Guide Publishing and the editor of Halifax Magazine by day. An avid sports fan, he published his first solo book, Long Shots: The Curious Story of the Four Maritime Teams That Played for the Stanley Cup (Nimbus Publishing) in 2012. Beer snobs will tell you the lagers are passé, but anyone who honestly believed that has never tried this one. Brooklyn Brewery’s version is a textbook example of how good a lager can be. It’s crisp, clean, refreshing and perfectly balanced. From the brewery: In the late 1800s Brooklyn was one of the largest brewing centers in the country, home to more than 45 breweries. Lager beer in the “Vienna” style was one of the local favourites. Brooklyn Lager is amber-gold in color and displays a firm malt center supported by a refreshing bitterness and floral hop aroma. Caramel malts show in the finish. The aromatic qualities of the beer are enhanced by “dry-hopping,” the centuries-old practice of steeping the beer with fresh hops as it undergoes a long, cold maturation. 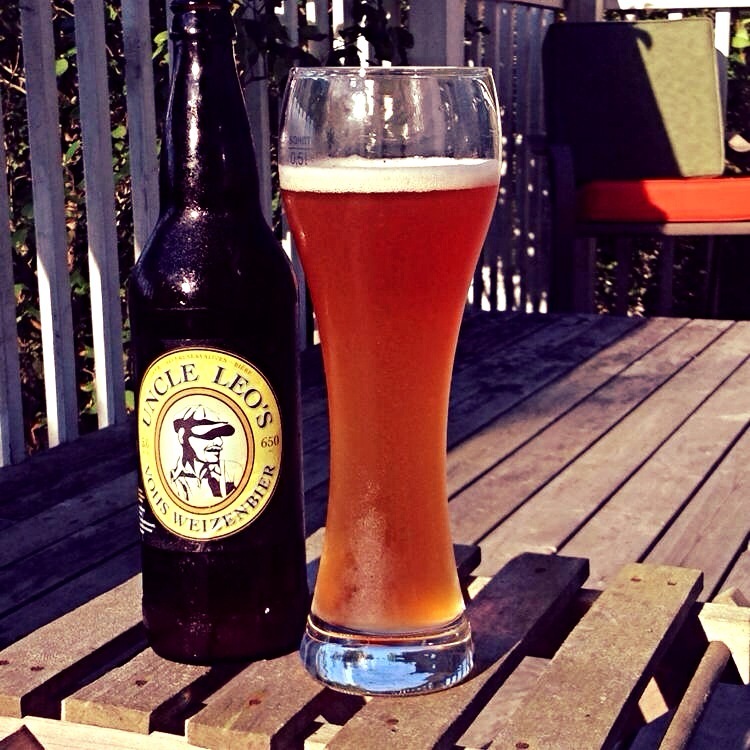 The result is a wonderfully flavorful beer, smooth, refreshing and very versatile with food. Dry-hopping is largely a British technique, which we’ve used in a Viennese-style beer to create an American original. Appearance: Clear amber with a thick off-white head; beautiful lingering lacing. Aroma: Smells of toasted brown bread and orange blossoms, with a hint of caramel. Taste: Instantly refreshing; dry and crisp with a hint of lemon juice. Dry, hoppy aftertaste with a quick quenching finish. Goes down easily. Mouthfeel: Medium carbonation and perfect balance. Just enough of an aftertaste to make you reach for another one. Overall: My favourite lager, hands-down. Perfect for a hot summer day, but eminently drinkable in any season. This is ridiculously flavourful for a lager. Like most lagers, it pairs well with most any savoury food, but it would be a real treat with a fiery bowl of Southwestern chilli. The Contract Brewhouse: Is this the future of craft beer start-ups? We all know that there is a huge boom in the craft beer industry. The market tastes have shifted from the mass-produced, pale larger to a wide range of flavourful beers made by a host of small brewers. 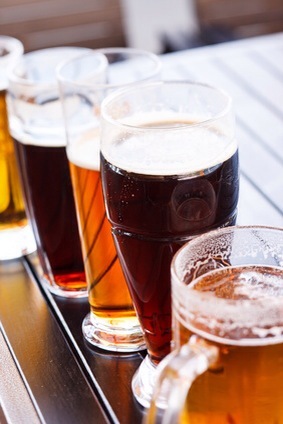 Many beer enthusiast, home brewers, and business people are getting in on the growing market share that is craft beer. But breweries are expensive. The average beer lover can’t afford a brewery, nor have the financial backing to raise the capital that would be needed to set one up. But what if you see that opportunity? What if you have a sound marketing plan and a great recipe? What if you’re afraid of getting yourself into that much debt? Enter the contract brewhouse. Businesses such as Brew Hub will make your beer, for a cost, but they float the overhead. Sure its not the same as owning your own brewery, but you can be a professional brewer with distribution to the beer drinking public. It almost seems too easy. It wouldn’t do the industry any good if the market got flooded by bad beers from people who have no business to be brewing. On the other hand, this would be the opportunity for some really good brewers to get started. It could also be a way for many small established breweries to move beyond their regional boarders. I might be afraid of losing control of my product. 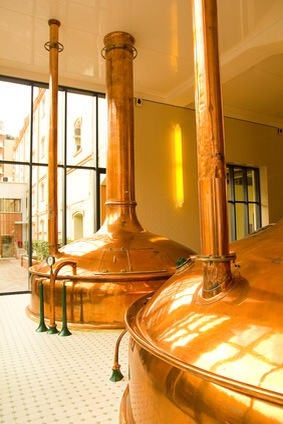 I can control what happens in my own brewhouse, but not necessarily a third-party. You would have to rely on someone else’s idea of quality control and consistency. Like it or not, this seems like a business model that will be here to stay. The lure of getting your beer produced without taking all the risks will be to great of a draw for many aspiring professional brewers. And why wouldn’t it be? Double Trouble Brewery is a small start-up that was undertaken in 2012 by a couple of longtime friends in Guelph, Ontario. They had both been brewing for years and decided to start their own craft beer brewery. With their first three brews in the can, we can only hope to see more from them. Appearance: The appearance is a beautiful amber-brown colour, a bit cloudy. There is an off white head that has big, fluffy bubbles and is long lasting with good lacing. Aroma: The aroma is mostly malty. There is a bit of a sweetness that comes through as caramel and there is a slight floral note from the hops. Also, there’s a bit of peppery spice (likely from the rye) and some hints of grainy, bread. Taste: The flavour is malty with a little spice and hops. There is a perfect balancing bitterness to the beer. Nothing is too overpowering or heavy. There are some underlying hop flavours – a bit of citrus and pine – but those hop flavours are restrained for an IPA – maybe not as dominated as one wold expect, however they let the other flavours shine through. Mouthfeel: The body is medium with an expected level of carbonation. There is a slight slickness to the mouthfeel, but nothing to detract from the beer – likely a result from the rye. Overall: I liked this one. There was enough of the rye to let you know it was there, but it wasn’t dominating to the point of taking away from the other elements – it’s balanced well. This is one I will buy again. 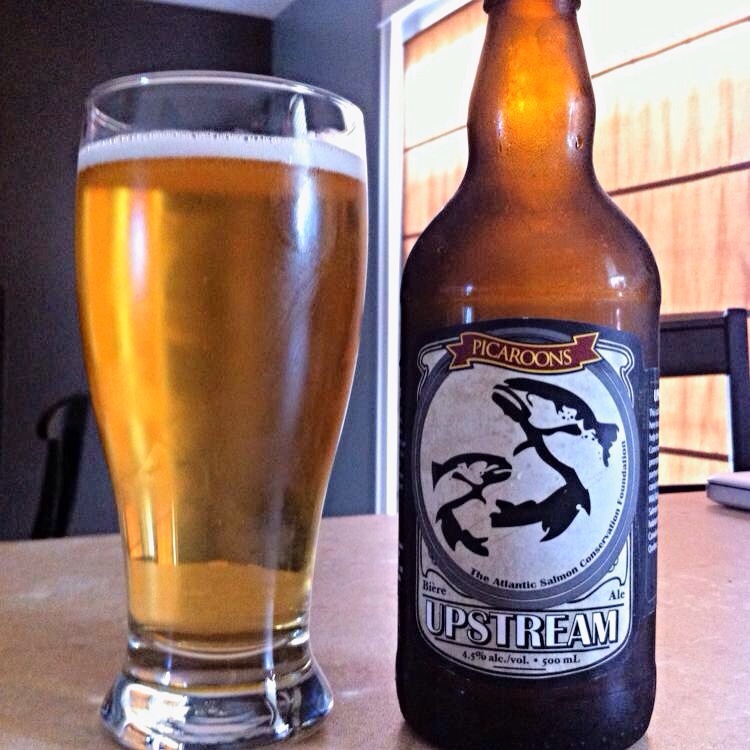 Released in support of the Atlantic Salmon Conservation Federation, Picaroons Traditional Ales of Fredericton, New Brunswick has again released their Upstream Ale. This limited release is unique in flavour and help to support conservation efforts for wild salmon in Quebec and Atlantic Canada. Appearance: This beer is crystal clear, and golden in colour. With only a very slight head. Aroma: The aroma is malty, with hints some dark malts (despite its light colour). There are some notes of wood or smoke. Taste: The flavour is toasty and unique, with a slight smoke-like/phenol flavour. There is a bit of sweet malty flavour with some grain/bread. Even though its a light beer it still has a somewhat richness in the flavour. Unique. Mouthfeel: The body and carbonation levels are both light to medium. Overall: Not like anything I’ve had. Easy drinking and light, but bold at the same time. Its worth trying and you can fell good about supporting a great cause, but get it quick, this is a really limited release. Like us in Facebook, follow us on Twitter and Instagram, and be our friend on Untappd. We all know that the economy is still “recovering” and some places are harder hit than others. Small towns are some of the hardest hit by the recession, often relying on seasonal moneys from what little industry they have of tourist passing through. Its a hard way to survive, but would you sell the town for a little bit of money? Crested Butte, Colorado, with a population of only about 1,500 people, did just that. The town will be transformed into “Whatever, USA” by Anheuser-Busch for a Bud Light ad – they literally have painted the town blue – all for a donation to the town of $500,000 and a few days work for the locals. There will be a concert and AB is flying in 1,000 randomly selected people from bars – mostly 21-27 years old – to participate. But many of the towns residents are not happy, some are even leaving town for the event. AB say they’ve come for the scenery, but the residents of this quaint town say that they are more about the environment and not a “party all weekend” kind of place. Sure, there will be a cash injection to the town. A 1,000 extra people plus the crew from AB will need places to stay and food to eat. There probably will be a spin off — for a couple of days. But will these Bud Light drinkers visit the Eldo Brewery and Taproom or Brick Oven Pizzeria & Pub for some craft beers? Will they tell their friends if they do? Can there there be some craft beer goodness come form Big Beer coming to town? Maybe they will come back in March 2015 for the Taste of Crested Butte festival for some local craft beer and food. I’m betting that won’t be part of the Bud ad. Stunts like this by Big Beer will surely produce some kind of economic spinoff, but it will be limited, whereas craft beer can be the beer that keeps giving. As reported by Forbes, in Texas the annual craft beer sales are $76M, almost doubling year-over-year, and could be contributing as much as $5.6B by 2020 (www.texascraftbrewers.com). Also, craft beer accounts for about 51.2% of Texas’ brewery jobs. By buying craft beer not only are we drinking great beer, but we are contributing to economic groth. And unlike Big Beer, the small breweries are known as “craft” breweries for a reason – they generally care about the product they’re producing above the cost, this may be why craft beer cost more (those quality ingredients don’t come cheap), but its the same reasons we are more than will to pay more for it. I for one am proud to support craft breweries, especially my local ones – I like my beer well made and my economy booming.